Live alone and love it! Humans are social creatures, but that doesn't mean we can't embrace having our own space. Living alone in a rental apartment can be both challenging and rewarding, and is almost always a big adjustment; but with just a few tips as a starting point, you'll be able to make your home your own, and will soon forget how you ever shared a space in the first place. Often, our style and décor choices are driven by necessity – a decorative shelf is no good when you have an entire family's worth of books to hold, for example. But when you're living alone in your apartment, and only have to worry about your possessions, you're free to pick and choose the pieces that you like, not the ones you need. You also won't have to worry about anyone's taste but your own. If you've been thinking of experimenting with bold colours and patterns, go for it. If lace curtains and neutral walls are still more your taste, that's okay, too. The sky's the limit when you have no one to please but yourself! It can be easy to let things slide when it's just you living on your own, but keeping your apartment tidy and in order is important, and can play a big role in how you feel in your own space. Find permanent homes for all your possessions and things that easily cause clutter, like mail or shoes, and stay on top of tasks like dishes and dusting. Also, don't put off calling your building manager about any problems you're having with your apartment, whether it's a leaky faucet or a drafty window – these little things can all add up, and can cause you more work in the end if you don't keep up on them. As much as you've created a personal, homey, tidy space for yourself, it's important that you get out of it from time to time! A daily walk is a great place to start. If you're living in, Cambridge, Kitchener, Waterloo or Guelph apartments, find the closest park or hiking trail and get a breath of fresh air. For those in Fergus, Elora, Midland and Stratford apartments, beautiful natural attractions are right outside your doorstep, from the Elora Gorge to historical houses in the downtown core. One of the downsides of living alone, particularly in your later years, is anxiety over safety. Whether it's physical safety issues like taking a fall, or personal safety issues like coming home at night, there are things you can do to protect yourself when you live alone. 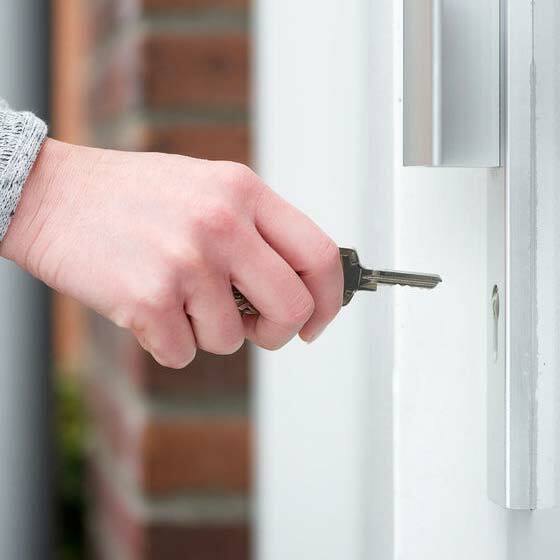 First, make sure you have adequate locks on your doors, including a security chain. You'll also want to make sure there is adequate lighting in all areas of the building where you'll be exiting or entering, including hallways, lobbies, staircases and elevators (report the issue to your building manager, if there's not). For safety inside your apartment, you may need to install devices like bath and shower rails, non-slip mats and rugs in hallways and bathrooms, and any other items that can help make your daily life easier. If you need help with these items, be sure to talk to your building manager about having the work done. Living alone, while it comes with its share of responsibilities, is also very empowering. Once you have your rental apartment safe, secure and feeling like home, you'll be surprised by how easy it is to be on your own. And remember, while you are alone in your apartment, you're also not alone – company is only a phone call away, neighbours are right across the hall, and the world is waiting just outside when you want to leave your space.